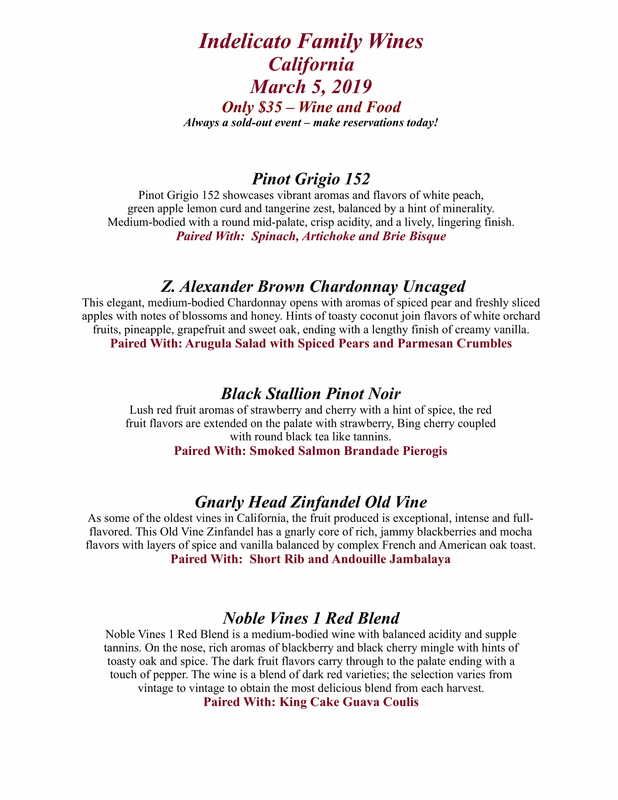 Join us for our March Wine Tasting! Featuring Indelicato Family Wines and 5 handcrafted courses–all for only $35. Reserve your spot today for winter’s last hoorah!